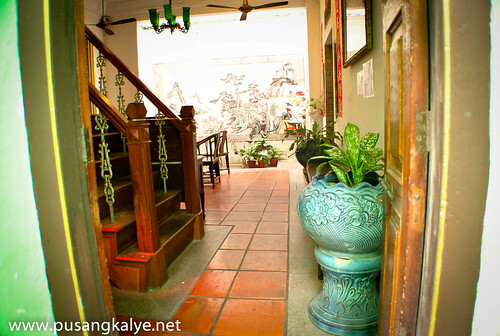 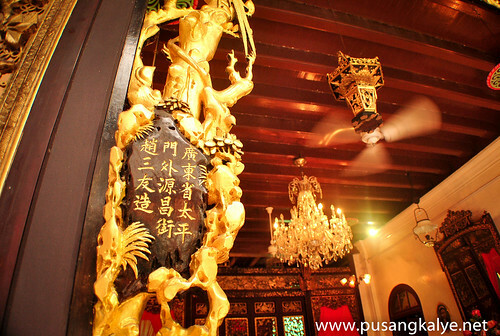 This is one of the places you should not miss in Georgetown Penang.It's so famous that even most guidebooks and tourists brochures have it on the cover. 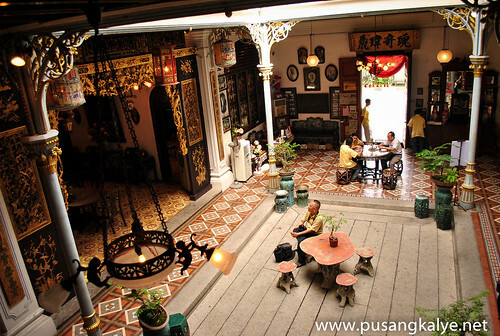 The Peranakans are a community of Chinese unique Penang and sorrounding region,They are locally called Babas and Nyonyas and are also called Straits Chinese,having settled along the British Settlements of Penang,Malacca and Singapore.The Peranakans adopted local Malay ways and British colonial lifestyle.These influenced its rich culture,customs,cuisine,language and lifestyle that are still evident in Penang today. 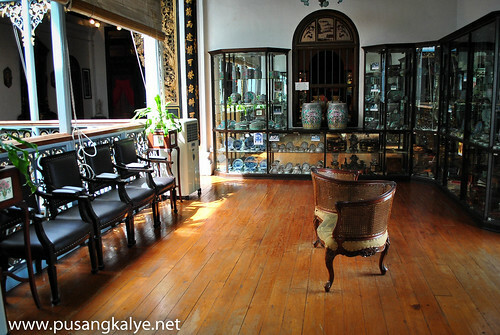 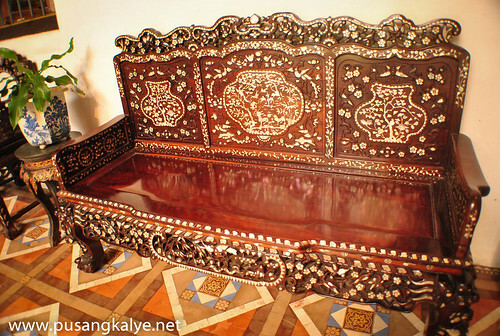 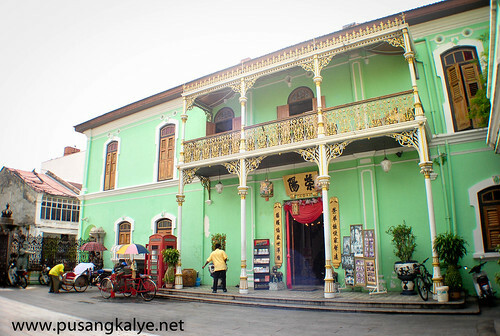 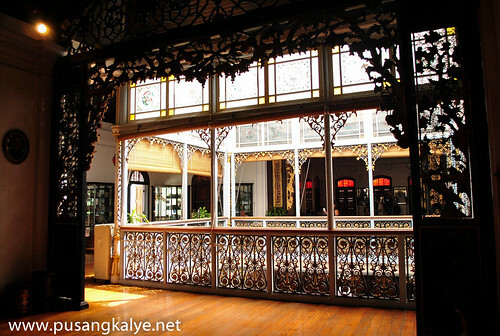 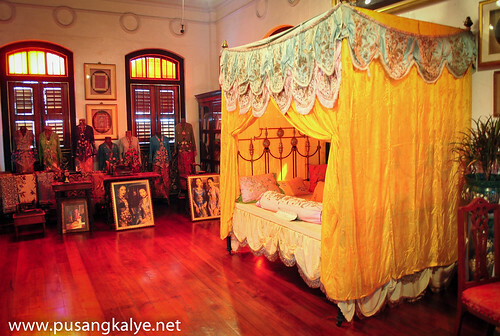 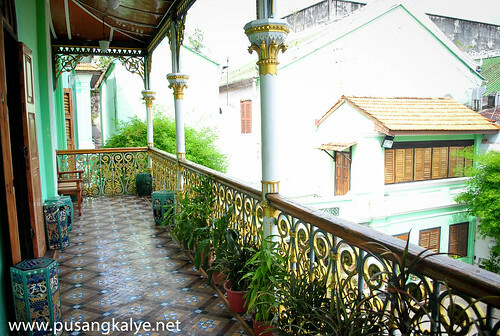 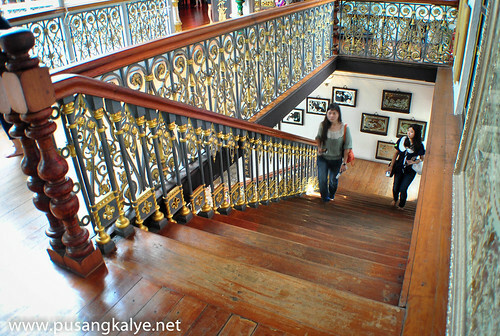 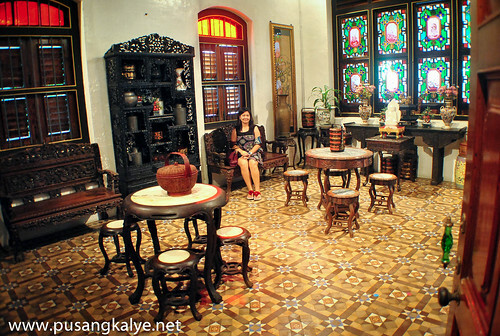 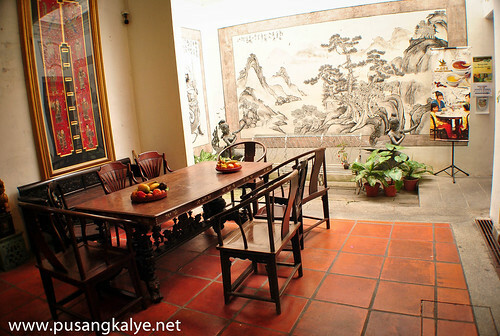 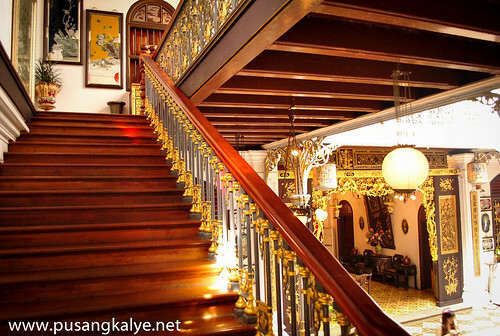 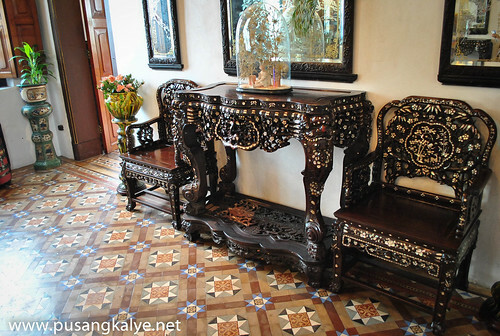 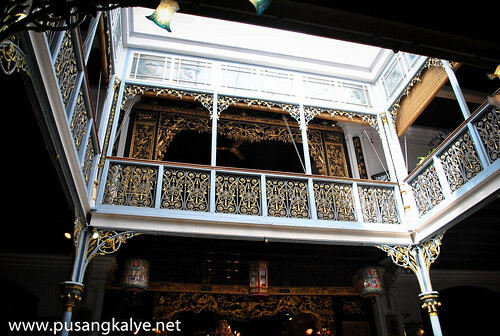 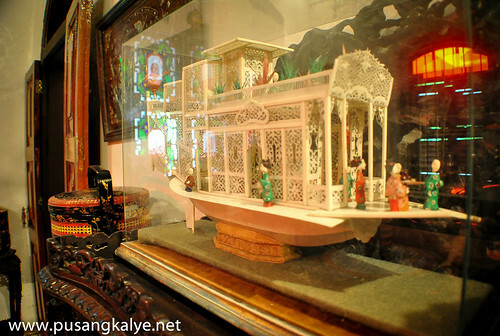 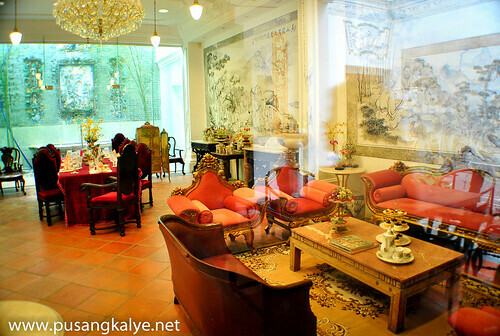 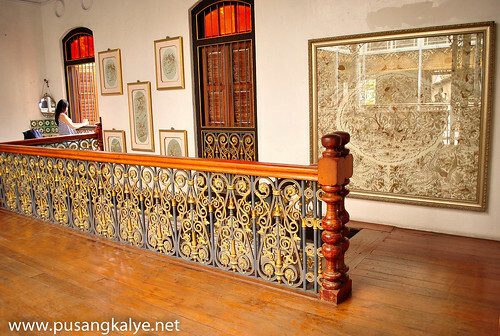 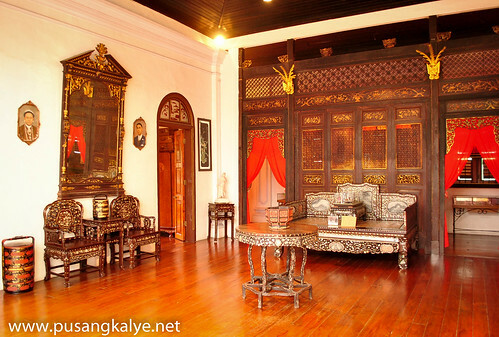 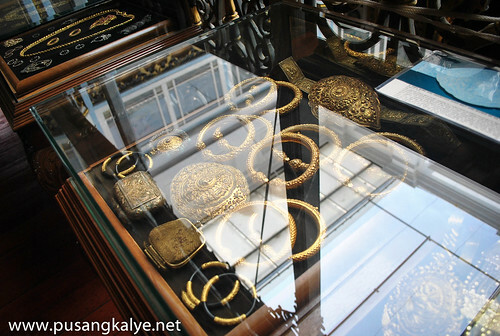 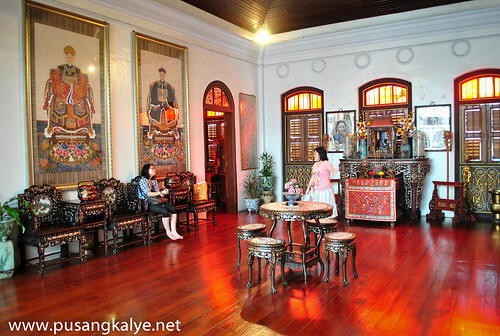 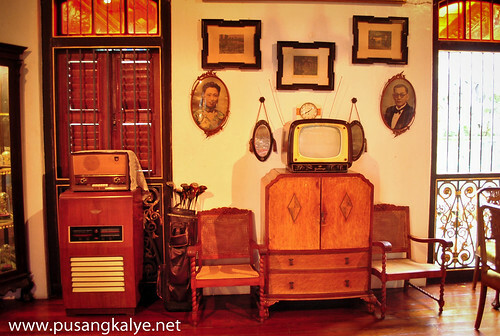 The PINANG PERANAKAN MANSION which is a typical home of a rich Baba a century ago is re-created to allow visitors a glimpse into the opulent lifestyle,customs and traditions in those days. 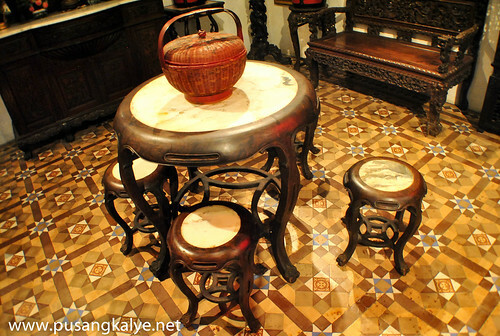 For sure,most of the furniture are sturdy.You are even allowed to sit on some of them unless the sign says otherwise. 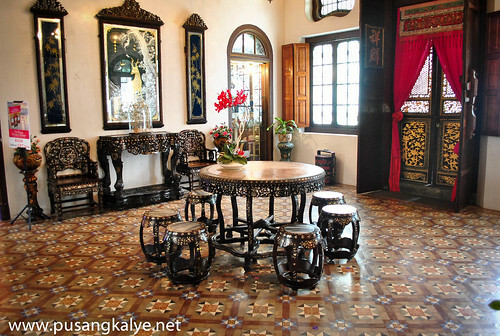 The mansion was built at the end of the 19th century by a famous local --Kapitan Cina Chung Keng Kwee.This "Hai Kee Chan" or "Sea Remembrance Hall" onced served as the residence and office of the magnate.Though not a Baba himself,his Chinese Courtyard mansion is reminiscent of a typical wealthy Baba house integrating Chinese carved wooden panels evident at the 2nd floor.Having survived many decades of neglect,the house is now restored to its former grandeur of a stately home and is open to the public for RM10 per person. 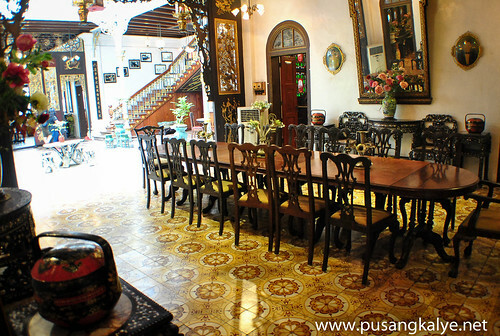 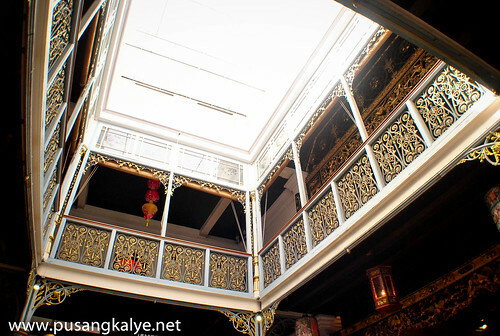 Like the Blue Mansion along Leith Street,the Pinang Peranakan Mansion is also open as a venue for birthdays,lunch,dinner,wedding,anniversary,seminar,product launch and other events. 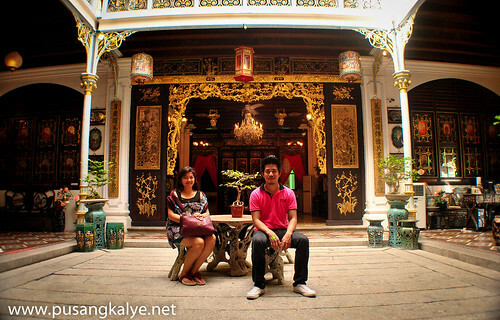 PS: Upon entering the house,I noticed that some of the staff who assist tourists are Pinoy.There were three of them and I learned that they are Filipinos co they were chatting in Tagalog instead of assisting the tourists.I took advantage of me being a fellow Pinoy and asked one of them if he can take a photo of me and my wife at the main yard of the mainsion.Snap,snap and I said my thank you.I was sincere when I said that but I didn't bother asking more questions as I was a bit disappointed with the way they behave as employees of the mansion. 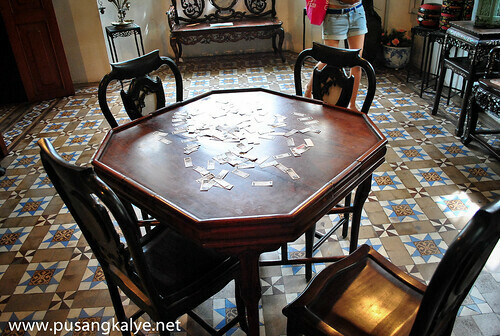 The remaining two continued chatting while we were taking photos,seated on one of the chairs immediately blocking the main door entrance to the mansion holding their cellphone.The one who took our photo immediately joined them.And so there were three of them chatting again.I find it inappropriate as they should be greeting and assisting the guests instead of sitting there texting and chatting.This kind of behavior at work is for me unacceptable.Kahit sabihin pa nating matagal na silang nagwo-work don. 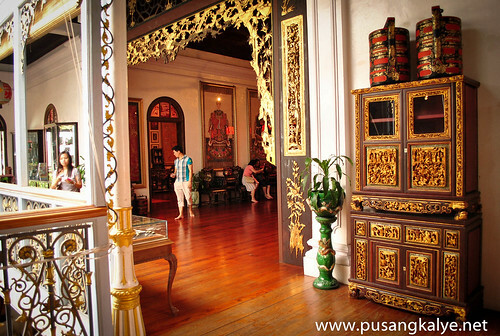 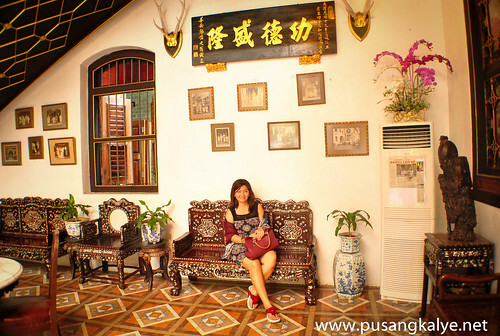 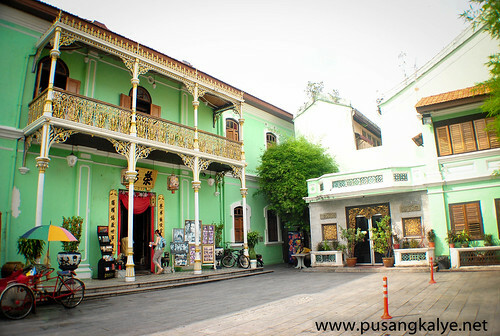 Seeing Penang Peranakan Mansion personally was an overwhelming experience.It was like being in front of somebody strong and powerful you don't know how to feel at first whether to fear or respect.It took a while to sink and before we came out of the house,what I felt was overwhelming admiration to the place.One should't miss it! 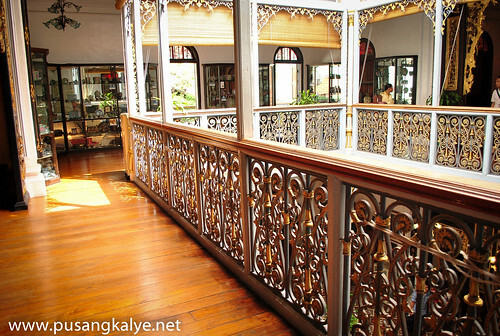 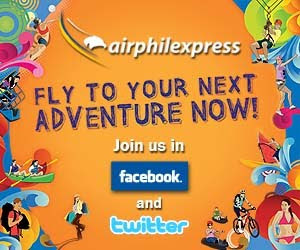 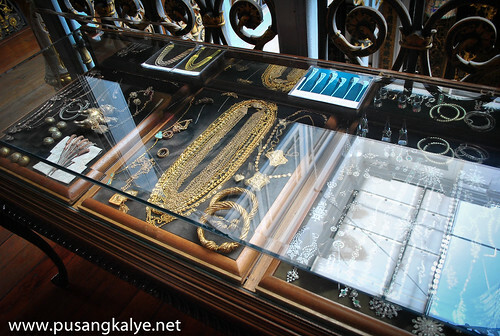 this was featured in globe trekker Ganda talaga.